The First Presidency and Quorum of the Twelve realize that "maybe since Kirtland, we never have had a period of, I'll call it apostasy, like we're having right now"
"What we have in mind is to develop a response to the tough issues – whether that's polyandry, or DNA in the Book of Mormon ... we do have another initiative that we have called, "Answers to Gospel Questions". We are trying to figure out exactly what channels to deliver it in"
"There's no sense kidding ourselves. We need to be very upfront with [this generation], tell them what we know, and give answers to what we have, and let them fall on their faith for things that we don't completely understand." ...It was brought up that Richard Bushman's book, "Rough Stone Rolling", would not have been as well received if it was written in the 80's. Elder Jensen agreed that there is more availability to history and more interest as well. He acknowledged that Leonard Arrington started a "tremendous undertaking to share our history. I don't think we've ever had a time that was as productive as those 10 years." 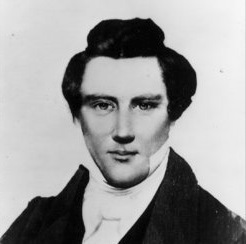 He also said, "I hope that more than just intellectual curiosity will be satisfied in the process of learning church history… Our purpose in getting the papers of Joseph Smith and doing the book on Mountain Meadows is to increase faith. Our measurements of success are less tangible than book sales. It would be: what does that do to someone's heart?" [Would the manuals] be updated to reflect a more accurate history. She asked whether the things that Leonard Arrington and Richard Bushman write/wrote about would be covered at all in the manuals. Elder Jensen said that it was a question that was brought up earlier in that day at the Institute. He also said, "I don't like to think that there are problems with church history." "What we have in mind is to develop a response to the tough issues – whether that's polyandry, or DNA in the Book of Mormon, or whatever it is. And then, in cooperation with the curriculum department and the church educational system, try to build into our basic curriculum, and into the church's educational curriculum, material that would cover these areas." "My own daughter has come to me and said, 'Dad, why didn't you ever tell me that Joseph was a polygamist?' Well, Kathy and I didn't plan a home evening on polygamy. It would probably occur to me today, though, to be quite honest." "We are aware that this is a concern." "Quite honestly, in the young men's and young women's curriculum, where their manuals are severely outdated right now, they just announced a new package of materials that is actually going to be a library… where teachers can go and in a sense, create their own curriculum, within certain bounds, for the young people in their ward. They can give lessons drawn from this database. While they may not be revolutionary, they will be a breath of fresh air across the church." "It's a different generation. Everything's out there for them to consume if they want to Google it. There's no sense kidding ourselves. We need to be very upfront with them, tell them what we know, and give answers to what we have, and let them fall on their faith for things that we don't completely understand." ..."Has the church seen the effects of Google on membership? It seems like the people who I talk to about church history are people who find out and leave quickly. Is the church aware of that problem? What about the people who are already leaving in droves?" "The fifteen men [First Presidency and Quorum of Twelve] really do know, and they really care. And they realize that maybe since Kirtland, we never have had a period of, I'll call it apostasy, like we're having right now; largely over these issues. We do have another initiative that we have called, "Answers to Gospel Questions". We are trying to figure out exactly what channels to deliver it in and exactly what format to put it in. But we want to have a place where people can go. We have hired someone that's in charge of search engine optimization. We realize that people get their information basically from Google. They don't come to LDS.org. If they get there, it's through Google. So, we are trying to create an offering that will address these issues and be available for the public at large and to the church leaders, because many of them don't have answers either. It can be very disappointing to church members. And, for people who are losing their faith, or who have lost it, we hope to regain to the church." ... Is [knowledge of those leaving the church] through anecdotal means or from statistics? Elder Jensen said that he has received much information anecdotally. He also said, "The church has a very progressive research and information division, with tremendous public opinion surveyors. And the church is constantly running surveys, and employing consultants that do focus groups on a variety of topics, but especially on the ones that we are talking about right now, that are so sensitive to the faith of members. Where has the prophet laid his emphasis right now? It's on something called 'The Rescue'. And with good reason, because we are suffering a loss; both in terms of our new converts that come in that don't get really established in the church, as well as very faithful members who because of things we're talking about, as well as others, are losing their faith in the process. It is one of our biggest concerns right now." ... [what would he say] to people who have come across difficult history and don't feel comfortable staying in the church. I also asked how the church looks to get them back. I explained that many of my friends have left completely. I said that my personal beliefs had to change dramatically when I came across the church's history. I also asked how he would educate the rest of the membership on how to treat those that feel uncomfortable with church history and, thus, the church. I was happy to hear the following response from Elder Jensen: "I could see a committee of forty people working on your question for ten years and not coming up with an answer. I think that the question has an application to gay members of the church or of society. I don't think that straight people have done a good job yet, of providing an atmosphere of safety and a welcoming place. We need to do the same for those people who are feeling disaffected – for whatever reason… doctrinally, or socially. I mean, if we really are truly Christian, it has to start there. Being less judgmental. Being more open and welcoming and inclusive. Someone asked Robert Frost once, 'What's the ugliest word in the English language?' And he said, 'Exclusive.' I think it is, too, in a way. So, if that environment can be created, and it should be, but often in the church, when someone comes with a bit of a prickly question, he'll be met with a bishop who number one, doesn't know the answer. Number two, he snaps and says, 'Get in line and don't question the prophet, and get back and do your home teaching.' And that isn't helpful in most cases. So, we need to educate our leaders better, I think, to be sympathetic and empathetic and to draw out of these people where they are coming from and what's brought them to the point they are at. What they have read, what they are thinking is, and try to understand them. Sometimes that alone is enough to help someone through a hard time. But beyond that, I think we really need to figure out a way to live a little bit with people who may never get completely settled." He cited a person that his dad knew. His dad said that the man was a little contrarian, but that he had a good heart. Elder Jensen finished by saying, "The primary way of knowing the things of God – and Paul said it best: 'For who among men knows the thoughts of a man except the man's spirit within him? In the same way no one knows the thoughts of God except the Spirit of God.' Our epistemology is spiritual." He said that when someone comes to him with concerns in historical issues, that he gives some answers that he hopes will help, but that if that doesn't work, Elder Jensen will appeal to the person's willingness to have faith and to remember the spiritual witnesses that they have had. Novel about the gold plates: "Land of the Saints"